Jean E. Pendziwol is the award-winning author of eight published books for children with the ninth scheduled for release by Groundwood Books (House of Anansi Press) in spring of 2017. Her most recent title, Once Upon a Northern Night (Illus. 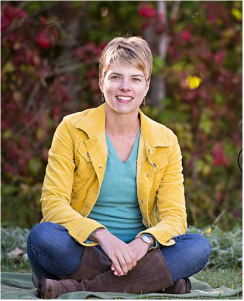 Isabelle Arsenault) was shortlisted for a 2013 Governor General’s Award (Children’s Literature, text) and was a finalist for the 2014 TD Children’s Book of the year and the Ruth and Sylvia Schwartz Award. The book received starred reviews in Publishers Weekly, School Library Journal, Kirkus and Quill & Quire, as well as a glowing review in the New York Times. Already in its fourth printing, it will be re-released with a new cover in fall of 2015. Jean E’s other titles include the award winning No Dragons for Tea: Fire Safety for Kids (and Dragons), which is an all-time bestseller for publisher Kids Can Press. Her books have been picked up by publishers around the world and can be found in countries including Great Britain, Turkey, China and Japan. Born and raised in Thunder Bay, Jean E finds inspiration in the rich culture, history and geography of northwestern Ontario. Development and Mines, PACE Communications, Scotiabank, TD Bank, Green Living Enterprises, the City of Thunder Bay, RE/MAX and the National Aboriginal Health Organization. When she's not pounding the keyboard, Bonnie enjoys canoeing, camping, snowshoeing, skiing and exploring Thunder Bay with her husband and daughter. Donna White is a writer-wannabe. After travelling to Uganda and hearing a former child soldier's story, she set out to write a YA novel that would give voice to this tale of horror and goodness, betrayal and forgiveness. It has been a journey of great learning and perseverance, full of editing, queries to agents and publishers, and a new-found understanding that "there is no such thing as writing, just re-writing and more re-writing." She is very thankful for all of the support she receives from her writing friends and is happy to share her experiences with anyone in the hope that they too will be encouraged on this path towards becoming a published author. Donna lives on a small hobby farm with her husband and two grown and almost out-of-the-nest children, Kira and Karl. She currently writes for World Vision and Bayview magazine. For more than 25 years, Marion Agnew has worked as a writer and editor, both as a freelancer and for a variety of employers. Her fiction and creative nonfiction has been supported by the Ontario Arts Council and has appeared in literary journals in Canada and the US (and cyberspace); two essays have been anthologized in Best Canadian Essays. Recently, she has supported university scientists pursuing research funding and edited fiction for a U.S. publisher. She has written and edited textbooks, curriculum guides, newsletters, speeches, reports, and feature articles. She served as senior editor for a computer trade publishing company, a science writer and editor at two national laboratories, and an administrator and grant writer for a government science improvement program. She holds a B.A. with Distinction in English and an M.A. in Technical and Expository Writing, and she’s studied American Sign Language. After visiting her family camp for decades of summers, she relocated full-time to Shuniah ten years ago.